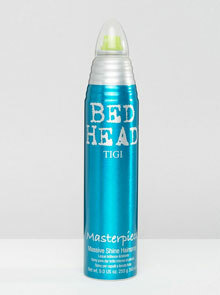 More moisture equals less frizz. Frizz is a result of dry, porous hair absorbing the moisture in the air, causing the hair cuticle and shaft to swell. A hair mask will coat, and close, the hair cuticle making it harder for moisture to sink in. Always leave on for a good 5- 10 minutes. We Love: Argan Oil Hydrating Hair Mask, R72,95 for 220ml; Dark and Lovely Replenishing Hair Mask, R39,95 for 250ml; and Schwarzkopf Professional BC Bonacure Barbary Fig Oil Restorative Mask, R240 for 150ml. Apply a keratin-based treatment that replicates the natural keratin in your hair for smoother cuticles that resist frizz. 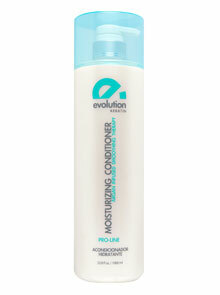 Try: Evolution Keratin Leave in Conditioner, R460 for 130ml. 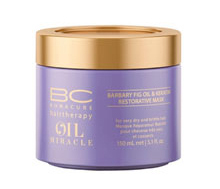 A leave in treatment that’s infused with argan oil to leave hair softer, smoother and glossier. 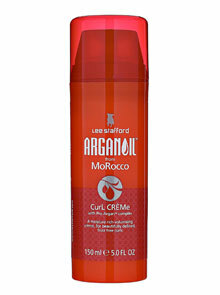 Choose a lightweight product that controls without weighing hair down. Curl creams are ideal for frizz. Apply to soaking wet hair, and comb through with a wide-tooth comb to disperse more product; now you’re ready to blow dry. Our favourites: Creightons The Curl Company Curl Defining Leave-in Conditioner, R119,95 for 250ml; Aunt Jackie’s Curls & Coils Curl La La Defining Curl Custard, R59,95 for 258ml; and Lee Stafford Arganoil Curl Crème, R149,95 for 150ml. Depending on the thickness and volume, get control whichever way suits your hair best. Blow-dry mousse from roots through to ends as it weighs hair down. A great non-sticky version is Revlon Flex Natural Hold Mousse, R46,95 for 150ml. 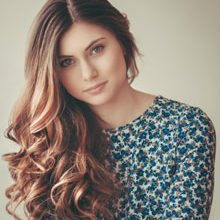 Tong your hair into shape by taking thick sections. This will create a loose wave. 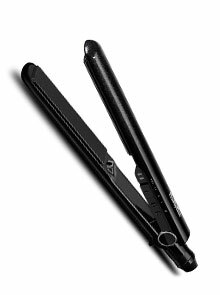 Try Babyliss Diamond Ceramic Straightener, R299, or Toni&Guy Salon Professional Hair Straightener, R649. During the day keep it all in place with a quick spritz of lightweight hairspray, such as Tigi Masterpiece Shine Hairspray, R275 for 300ml, and Ghd Final Fix Hairspray, R175 for 400ml. Have a cut that works with your natural hair texture so you don’t have to smooth it down. 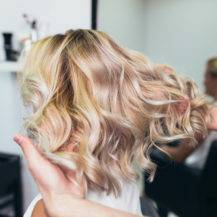 Even changing your parting helps adapt the way you style frizzy hair. Best for styling waves and curls? 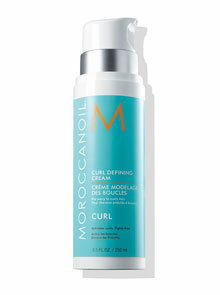 Moroccanoil Curl Defining Cream, R485 for 250ml.